You Are Here: Home » Around the Web » It’s Almost Halloween! Let’s Watch Scary Movies! I have a teensy fixation with Halloween. I start decorating in September (because it takes that long to haul out all my decorations). I usually read several horror-romance novels *cough, DEAD OVER HEELS, cough*. And I always set aside a weekend to watch spooky movies. Here, in no particular order, are ten of my favorites. Some are super-scary; some are more funny than terrifying. But all are a great excuse to snuggle up with a cutie on a dark October night! This flick isn’t overly scary. 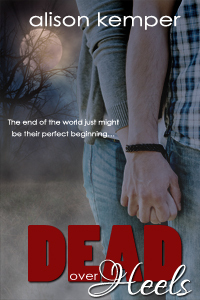 It’s hilarious, sweetly romantic, and contains a very hot teen zombie boy. Win! This was the first horror movie I ever watched. I locked my toy clown in the closet and slept with my light on for weeks. Retro 80’s creepiness. This movie is so fun! Yeah, you’ll jump a few times. And squeal. For anyone who watches Ghost Hunters, this has that same grainy, homemade feel. Such a feeling of dread throughout this whole movie. I don’t scare easily, but The Ring got to me. Especially the ending. This one wins for my favorite scene in a horror film. Hannah (teen heroine extraordinaire!) changes a flat tire in a tunnel while fast zombies race toward her car. Epic. This classic goes way beyond your average slasher flick. There’s a psychological aspect that leaves you feeling drained and possibly a little more aware of the messed-up people that inhabit our world. 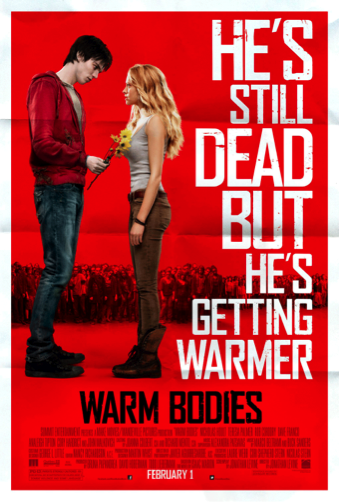 The monster in this one’s a bit cheesy, but other than that, it’s a solidly scary movie with some squeal-worthy moments. The ending wasn’t my favorite, but this is worth watching just for certain over-the-top spooky scenes. Great opening with the doll. And the part with the wardrobe? Yikes. Great list Alison! 28 Days Later is one of my all-time fave movies. I’d love to tack The Village onto this list just because it’s that kind of creepy good (okay I might be the only person who likes it) that could be real. The Village! Yes! I loved that movie. Definitely creepy–and SUCH a great ending. This probably shows what a wuss I am about scary movies that I’ve only seen 28 Days Later. lol.